2016 has been a year of various developments and improvements in Atlanta. The Georgia Department of Transportation launched several construction projects throughout the city that will affect its residents in many ways. However, as the year comes to a close, many Atlantans may wonder what other ventures the city has planned for next year. Here are a few projects that will be going on in our city in 2017. The Atlanta Beltline is an ongoing project that will transform the historic 22-mile railroad corridor that encircles the city of Atlanta into a network of public parks, multi-use trails, transit, and affordable housing that connects 45 neighborhoods, according to the Atlanta Intown Paper. 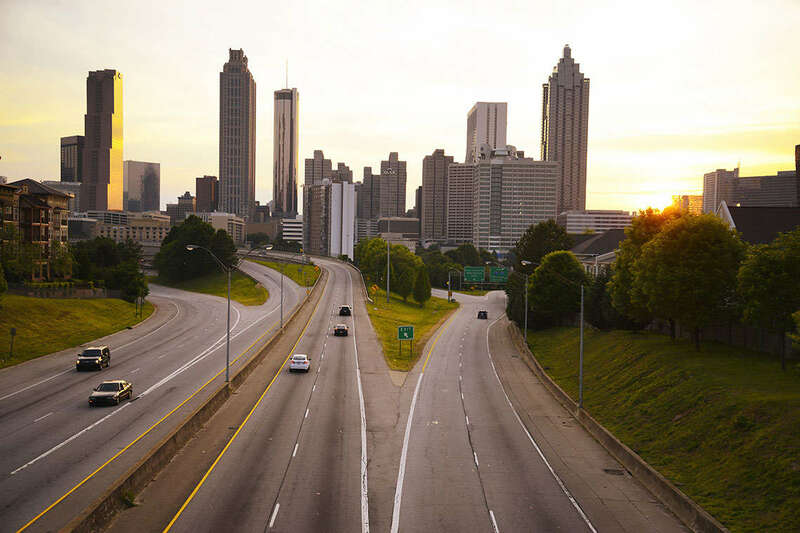 The beltline will serve as a major new transportation corridor} that will provide direct connections into downtown and midtown, according to the Atlanta Beltline project. It will help to benefit everyone in the metro Atlanta region, because it will link to existing MARTA systems and other transit services. 2017 will be an important year for the Atlanta Beltline, with the opening of the Eastside Trail Extension, Westside Trail, and the acquisition of the remaining land for the corridor, according to Atlanta Intown. The Eastside Trail extension is projected to open in late summer 2017 and will add another 1.25 miles from Irwin Street to Kirkwood Avenue in Reynoldstown. On April 12, the Cobb County Commission approved two pedestrian bridge projects at Braves Stadium, in order to help make sure that fans and pedestrians safely travel in the area, according to NBC 11Alive. The Commission agreed to spend $23 million to widen Windy Ridge Parkway, create a pedestrian plaza across I-75, and to build a new bridge connecting the Galleria parking deck with the stadium, according to 11Alive. Commissioner Bob Ott believes that the projects would benefit more than just baseball fans. “I think it’s a little bit of a mischaracterization just to call it a Braves bridge. I think it’s part of an overall plan to make the entire area more pedestrian friendly,” Ott said during the approval meeting. The full bridge project won’t be done until Aug. 21, 2017, but the pedestrian component of the bridge will be open by April 2017, according to 11Alive. On Jul. 17, construction began on two resurfacing projects on the Downtown Connector and I-75, according to WSB-TV News. Crews began resurfacing about six miles of the Connector northbound and southbound from University Avenue to the Brookwood Interchange. The resurfacing project is a part of the GDOT’s efforts to maintain its infrastructure and fix poor roads, according to WSB-TV. “The more than 400,000 people driving on it daily feel the burn, feel potholes and all of that. We’re going to be taking off the top layer and resurfacing,” Karlene Barron, the GDOT spokeswoman, said to WSB-TV. The $13.8 million construction project is expected to take nine months and will be completed by April 2017, according to WSB-TV. Atlantans could look forward to less traffic congestion and a smoother commute on the fixed road. On Nov. 1, the airport began construction work on the installation of massive canopies over the domestic terminal curbside pickup and drop-off areas, according to the AJC. The construction work will continue for months, and the airport will warn travelers about future lane closures and traffic flow changes. These are just a few things that Atlantans will have to look forward to in 2017, as the city works to improve and transform existing infrastructures. However, with these various construction projects taking place throughout the city, accidents can occur whether walking or driving in these areas. If you or a loved one were injured due to the negligent actions of a driver, we can help. Read more to find out how our car accident attorneys in Atlanta may be able to help you receive compensation for your pain and suffering.